The year 2020 marks the 250th anniversary of the birth of Ludwig van Beethoven. From his early years in Bonn, Germany to his legendary achievements in Vienna, Austria, the musical center of 19th century Europe, Beethoven left an indelible mark that forever changed the landscape of classical music. 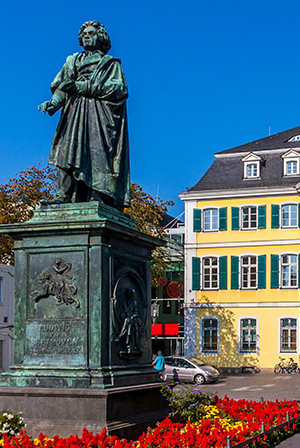 Explore the sights and sounds of musical Europe and Beethoven’s past as you follow in the footsteps of the most influential composer of the late Classical/early Romantic era.